Fish coconut curry is a traditional kerala fish curry which is made in earthen pots those days. It makes the dish tastier than any. 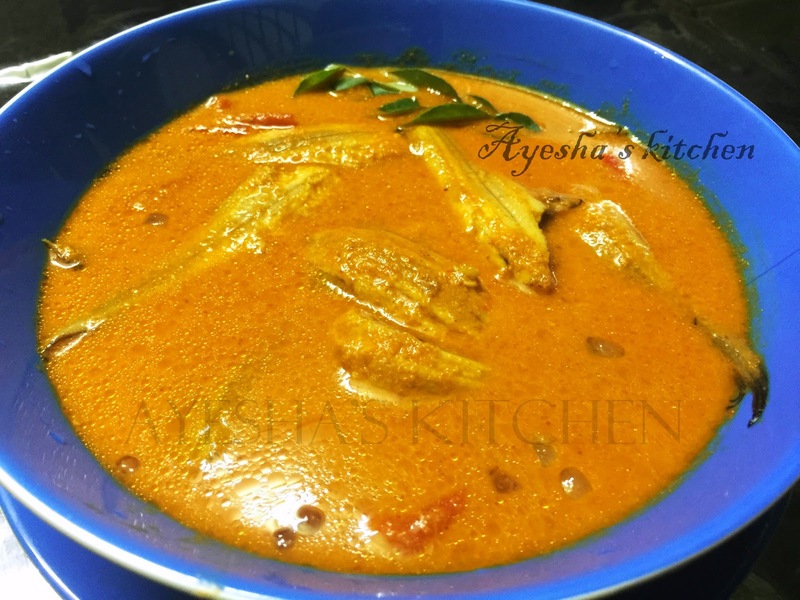 Fish curry can be made in a number of ways like fish without coconut, fish with tamarind or gambooge, hot and spicy fish, fish masala and so on...These are entirely different in taste and texture. Today am sharing a very tasty recipe from my mom, which reminds me of my childhood. Here is the recipe for sole fish / nangu / maanthal coconut curry in kerala traditional style. Enjoy..
Feel free to drop your valuable feedback...Thank u. In a deep bottomed pot (preferably clay pot) add sliced tomato, green chilly, and tamarind water. Then grind together coconut, small onion, fennel seed, (turmeric, coriander and chilly )powders in a half cup of water. Grind to a fine paste. Pour this into the pot, add salt and mix well. Now switch on the flame and cook until the raw smell goes. Stir occasionally. Now you can add water according to the consistency needed (do not add more water). When it boils, add the cleaned fish and mix well. Close the lid and cook for few minutes ( 5 minutes in a medium flame). When fish is done remove from flame. In a separate pan heat 2 tbsp oil and fry the sliced small onion.